Which window should you install? There are many window styles to choose from, and not every style will fit in every room. Read more to find out what is best for your home. 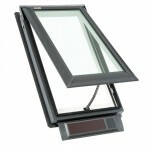 If you’re looking for more ventilation as well as light than the Awning Window is your best choice. These windows are generally placed above or below other windows. You will also see these installed above entry doors. There is a hinge at the top of the window which opens it outward. 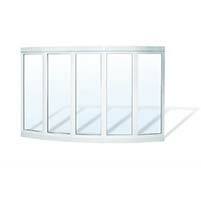 The window is energy efficient as it replaces the need for Air Conditioning, saving you money. They push out more air than they take in. If you’re looking for more convenience that fits in any room, these are the easiest to open and close with a simple turn of the handle. 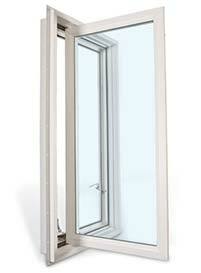 They can be installed singularly or together with your other style windows. This window is very easy to maintain whether it is on the main floor or 5 stories up. 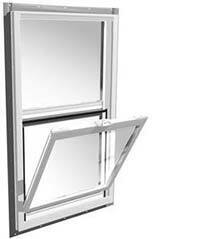 You can open the window to a 90-degree angle so it can be cleaned from the inside. With only the lower sash window having the ability to move up and down this is a choice for your main floor. It is generally cheaper to install and maintain. In some cases, a screen is added to allow the lower sash to stay open in the hotter months to keep the main floor cooler, without having to worry about insects. 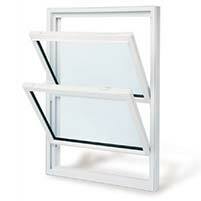 Both the upper and lower sash move up and down and even tilt in for easy cleaning and ventilation. Each window pane can be cleaned from inside the house for easy maintenance. The upper and lower sash will stay in the tilted position if desired. They provide one of the highest degrees of ventilation and can be installed on any floor of them home. 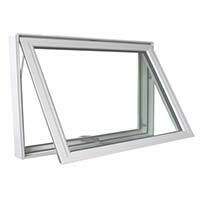 Typically a bay window is made up of three combined windows that extend a room outward. You get a full, unobstructed view that allows much more light in than any of the previous mentioned. The window is fixed however you can have a variety of window combinations, you will have more natural light coming into your home with a bay window. The bow window is very similar to the bay window, however, a Bow window can have four or five individual windows instead of 3 and will create a more outward curved design. The window is normally fixed however you could make them a series of casements or even double hung. If you’re looking to have more light brought into a darker room than a skylight would be best to have installed. Generally, a skylight is installed in bathrooms, attics or kitchens and won’t have the glare of the sun. There are many options for a skylight, you can have them open or even add blinds, and it can also be accessed with a remote control or made into a small singular balcony. If you have a small area of the home, such as a walk-in closet, hallway, bathroom or even a pantry and are needing to add more light, a sun tunnel would be the best choice. It is the most energy efficient option and allows enough sunlight to light up the small space by having the sunlight guided down a shiny tunnel. The internal diffuser will minimize any shadows. Fill out our appointment form to book an appointment today and visit our window page for more information.